Post-apocalyptic visionary George Miller heads out into the endless barren desert once again with this rebooted, non-stop, pedal-to-the-metal, two-hour car chase. Mad Max: Fury Road takes a quietly hulking Tom Hardy as its slightly crazy protagonist: a road warrior captured, tortured and used to supply blood to one of the many malnourished tribal motor heads under the rule of a tyrannical patriarch named Immortan Joe. 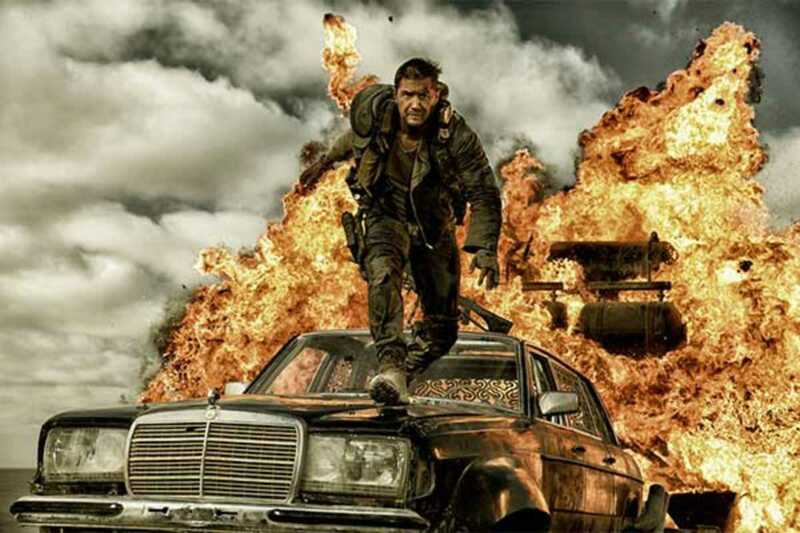 When Max escapes and joins Furiosa (a fantastic Charlize Theron) on a rogue run-and-gun mission to get the oppressive leader’s group of beautiful wives across the wastelands to the mystical “Green Place,” Miller spits nitrous right into the engine of the film and never lets up. It’s a dusty, wild, disturbing, funny and outrageously vicious piece of macho action cinema, but one which remarkably manages to put women of all ages right at the fore.